’Never work with children and animals.’ Advice not taken by Julia Evans, who farms 300 acres at Longlands, in Herefordshire. 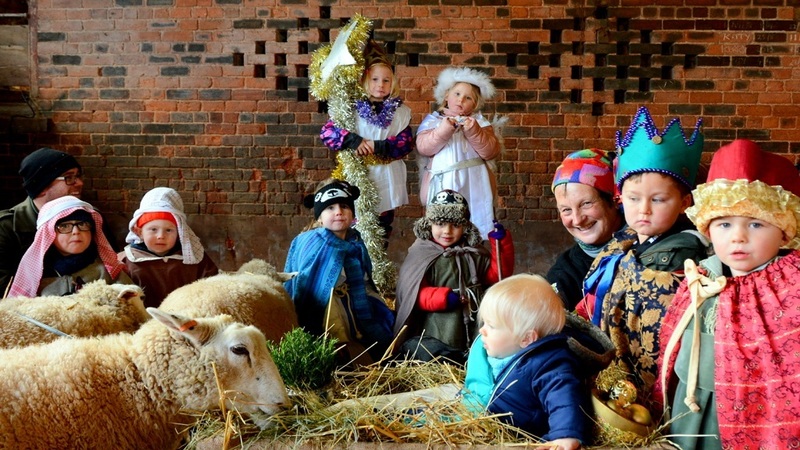 Nearly 300 primary school children have visited Longlands Farm this December to act in live action nativities: the ‘shepherds’ leading in hand-reared sheep, Beef Shorthorns lowing in the other half of the cattle shed, and Mary arriving on a Shetland pony. Oh, and a real baby in the manger. One group nearly didn’t make it, when their coaches got stuck in the mud and ice. They all bailed out, and 60 five-year-olds cheerfully trekked up to the farm through the snow. The show must go on! Julia also runs a care farm for teenagers who struggle with main-stream school, and those students assist with the farm tours and help with the nativity for the younger children. It can really boost their confidence and they certainly rise to the occasion. The most moving nativity was the one for the Riding for the Disabled group which is based at the farm. Autistic children, some of them completely non-verbal, took a full part in the play, with Mary, a shepherd and the three kings riding in on ponies. Your year in farming: Merry Christmas and a happy New Year! 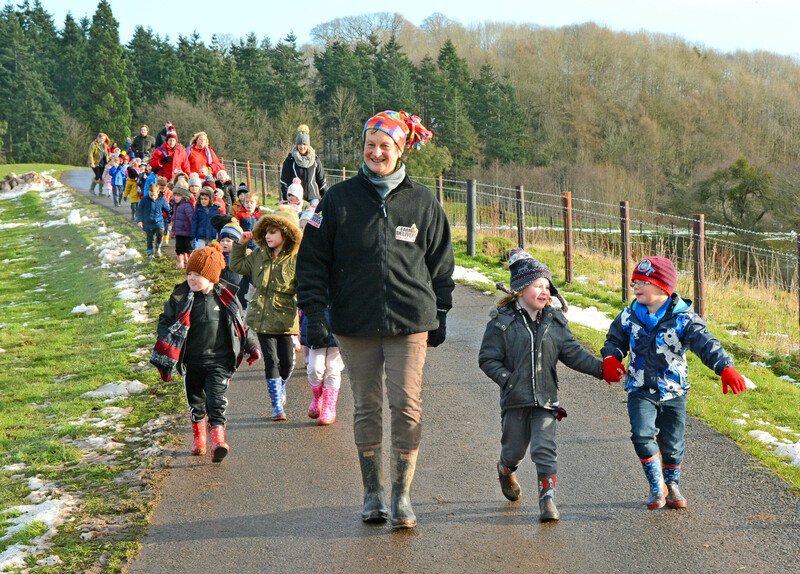 The nativity visits are funded by Natural England through the Educational Access scheme. As well as taking part in the nativity the children spend time learning about farming and food production and meeting the animals and poultry. The final performance was a public one, with family and friends’ children filling the key roles, and with carol singing, live music and readings. As well as the Christmas story the theme was homelessness, with monies collected going to a local day centre for the homeless. Julia won the Countryfile ‘Farming Hero of the Year’ award in 2016 for her extraordinary commitment to community work, and her enthusiasm and energy are undimmed. She has recently completed a foundation degree in Child and Adolescent Mental Health, and is developing the therapeutic side of her work with youngsters who are suffering from mental health issues. Julia said: “Who would have thought that a potent recipe of turkeys, piglets, pet sheep, chicks, the occasional rider with special needs, a very woolly Shetland pony standing in as a donkey, a real baby lying in a hay manger (a disused oil drum), some disenfranchised teenagers and a class of five-year-olds in costumes of cut up blankets and curtains, could be so emotional?